The Centre for Strategic Research and Development of Georgia (CSRDG) is a civil society organization with 20 years experience of successful work in the civil sector. 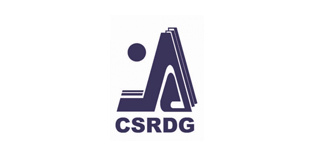 Founded in 1995, CSRDG is one of the oldest non-governmental organizations in Georgia. Based in Tbilisi (the capital of Georgia), we carry out our activities throughout Georgia on the local (village, district) as well as the national level. The mission of CSRDG is to build up civil society in Georgia by promoting mutual dialogue between government and citizens. To fulfill its mission, CSRDG actively works with the public, for awareness raising and promoting the involvement of stakeholders in decision-making processes. With CSOs, providing expert assistance in order to ensure sustainable development of civic organizations and their cooperation with public and private sectors. Also with local and national level government, to promote effective designing and implementation of structural reforms through monitoring government activities, and developing respective recommendations and legislative amendments. And with the private sector, to promote involvement of business in achieving sustainable development objectives by introducing the concept and practice of responsible business and developing multi-sector partnerships. - Civic development; community and rural development; economy and social policy. - Environment protection; promoting government decentralization; increasing accountability and effectiveness of the local government; protection of the Consumer rights. - Promoting social entrepreneurship; promoting corporate social responsibility; mediating pro bono services. All of these programs are strongly interrelated and their conglomeration contributes to the country’s sustainable development, raising the quality of life and building democracy.